Covered calls are quite possibly the best investment strategy on the planet. How many other strategies lower risk, provide income, and potentially allow for capital growth? There’s reason why so many fund manager employ covered calls as a cornerstone of their trading plans. What can be surprising to many covered call traders (new and experienced alike) is how flexible they can be. There are many different ways to use covered calls, and you can get quite creative with the process. The more research you do on covered calls, the more you will realize just how powerful and useful they can be. For instance, I recently came across a very interesting covered call trade on silver, or more specifically, iShares Silver Trust (NYSE: SLV). SLV is possibly the most popular way to trade/invest in silver. On any given there’s likely more SLV shares changing hands than physical silver. We’ll get back to the trade in a moment. First off, why invest in silver? While the metal has plenty of industrial uses, silver mostly trades like a precious metal – often times moving with gold, though not at the same pace. Precious metals tend to trade like currencies or stores of value. They can be hedges against political and economic uncertainty. We’ve definitely entered a global period of both political and economic uncertainty. The political situations in the US and UK are both fraught with uncertainty, for instance. And, the global economy may be headed towards a recession. 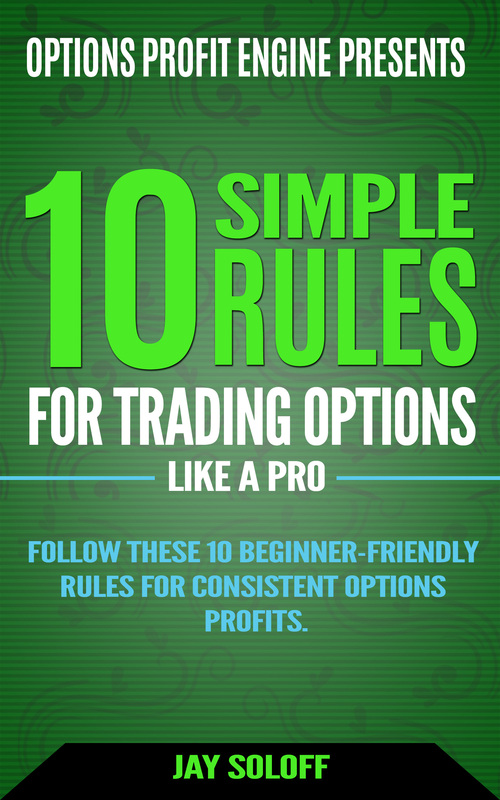 Typically these are periods where you start to see to investors move into precious metals. That brings us back to the silver trade I mentioned. A trader executed 5,000 covered calls in SLV that don’t expire until January of 2020. More specifically, 500,000 shares of SLV were purchased for $13.71 and the January 2020 15 calls were sold for $0.98 against those shares. Let’s break down the trade. The trader immediately collects $480,000 in premiums from selling the calls. That means the trade is protected down to $12.73 in SLV before any money is lost on the long stock. Plus, the strategy can make up to $1.29 in share growth (up to $15) before gains are capped. Moreover, the $0.98 in premium ($480,000) represents a 7.1% yield in just over a year. So, if silver doesn’t do much over the next year, the trade will still earn about 7%. You can tack on another 9.4% in growth potential if SLV is at $15 or higher at expiration. All told, this trade could generate 16.5% returns in about 13 months. The question you’re probably asking is why cap gains on SLV at $15? If we’re entering into a possible bull market for precious metals, why limit the gains? There could be several reasons for this strategy. 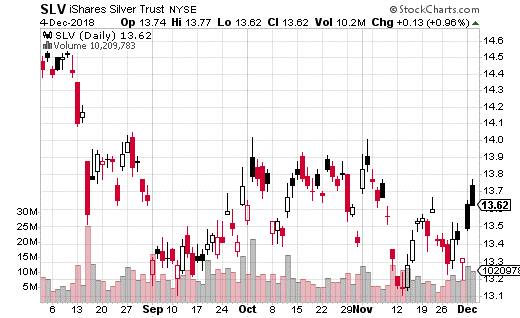 First off, it’s quite possible the traders don’t believe SLV will move (or remain) above $15. Maybe the strategist is only moderately bullish on silver and this trade is a way to express that belief. Furthermore, even if SLV climbs above $15 and stays there, the trade still generates 16.5% returns. It’s not like it loses money if SLV keeps going. If 16.5% is a worst-case scenario for a year-long trade – I’ll take that any day. Another possibility is the premium collected is more important to the strategist than the growth potential of SLV. Remember, that $480,000 is collected up front (and represents a roughly 7% yield over about 13 months). That money can be used to invest in other trades. The trader may feel silver has a strong floor and this is a very safe way to get a “loan” to invest in other trades. You see what I mean about flexibility and creativeness with covered calls? Whoever made this trade is getting paid 7% in the form of a roughly $500,000 against a “collateral” of silver to be used to potentially make even more money somewhere else. The only risk is the price of silver totally collapses. But what are the chances of that given how low the price already is and the precarious state of the geopolitical environment? If you’re looking for a way to increase your income while also having some growth potential, this silver trade is an interesting way to do it. And don’t forget, you’re also hedging against some political and economic uncertainty for the next year by taking a bullish position on precious metals.